a top class of sharpness sword. 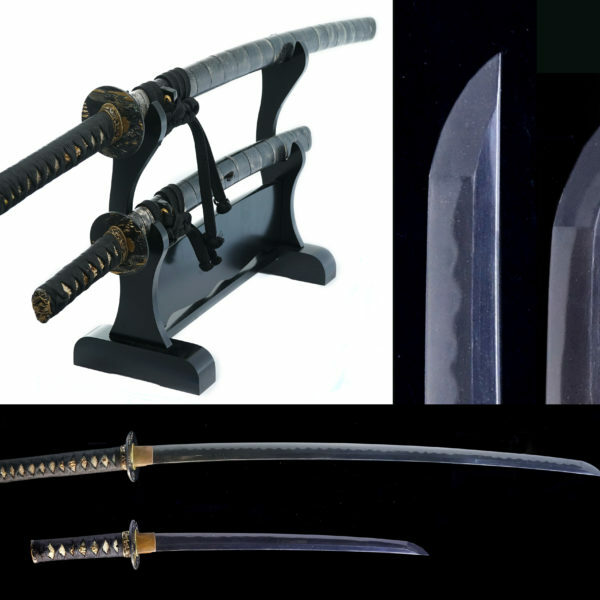 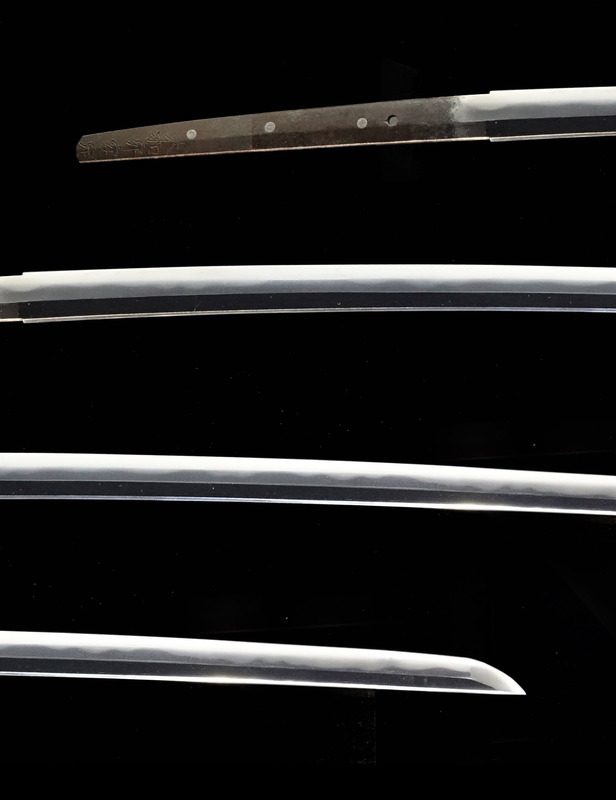 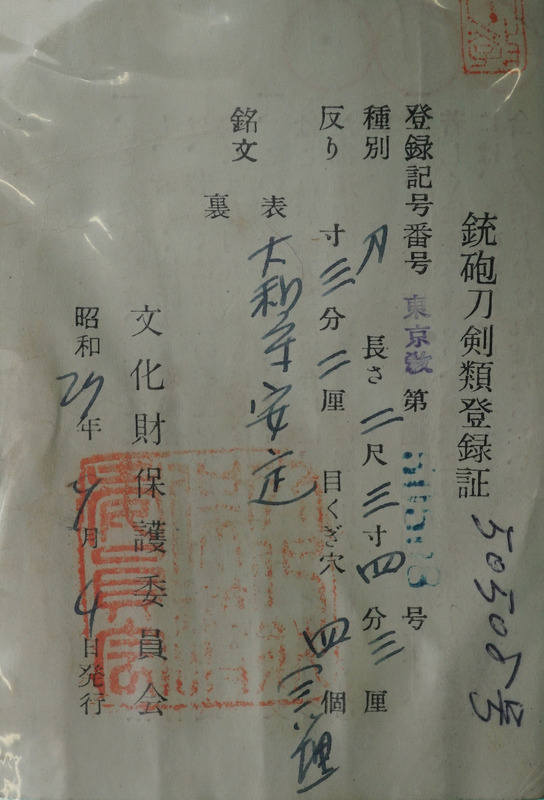 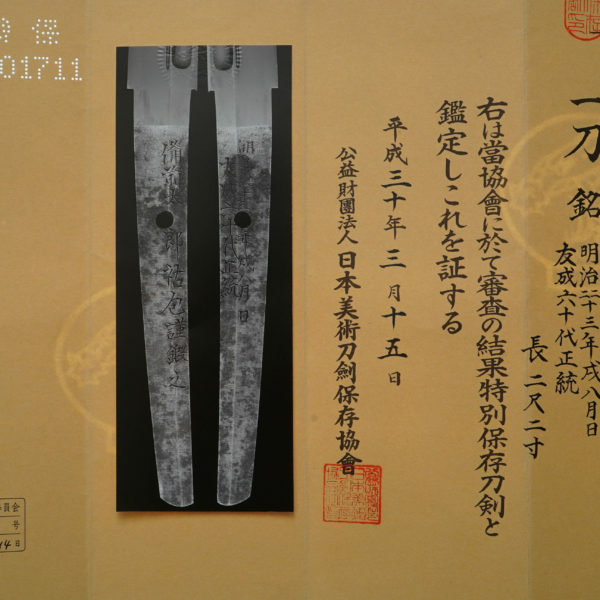 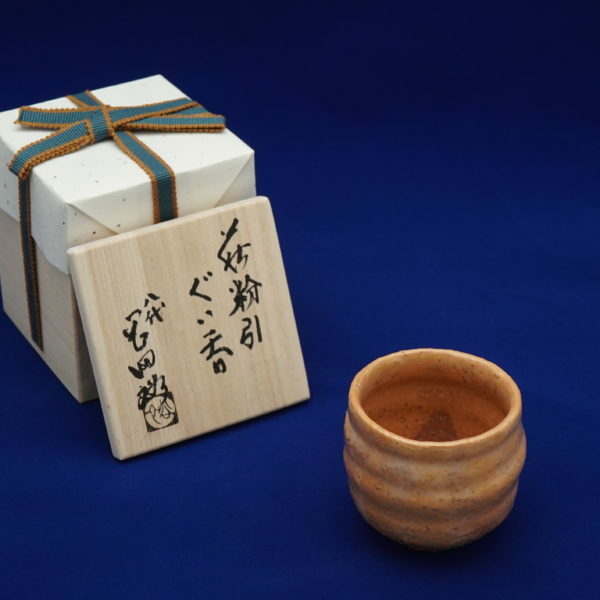 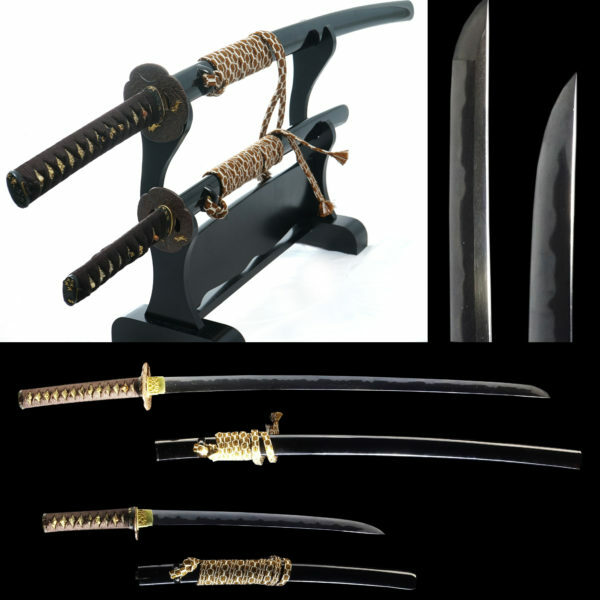 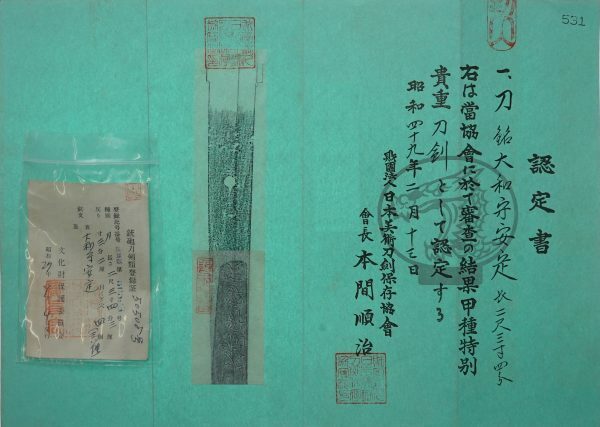 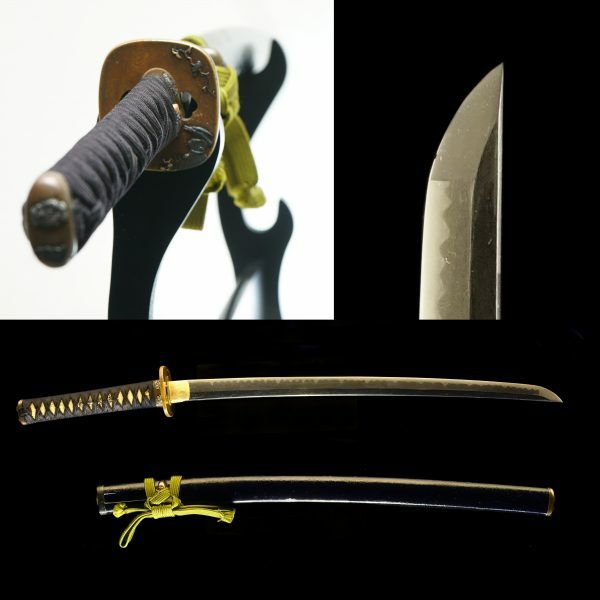 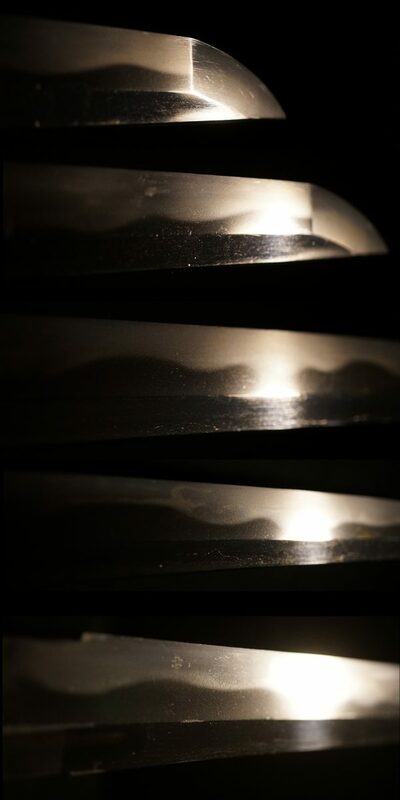 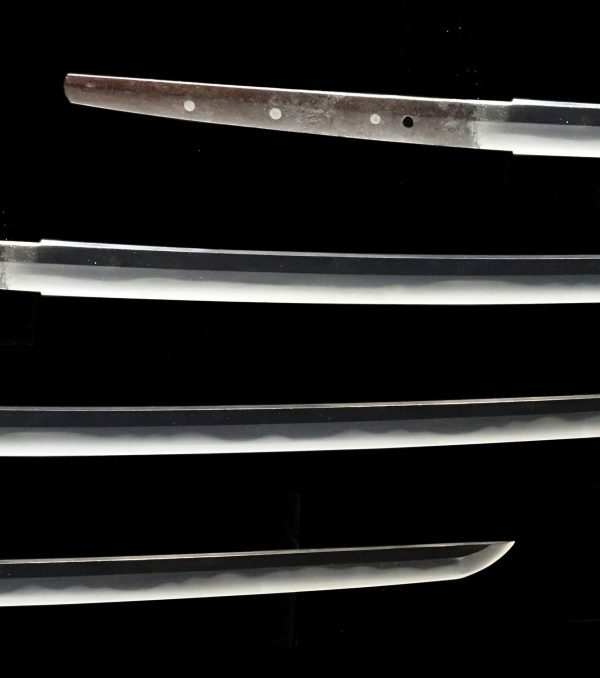 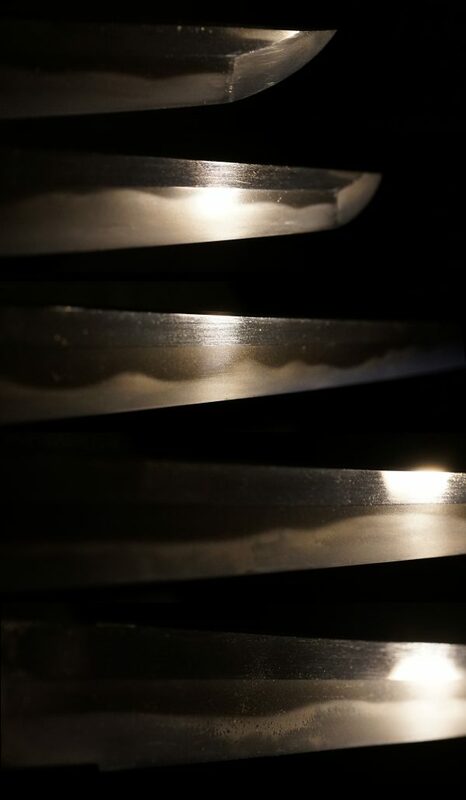 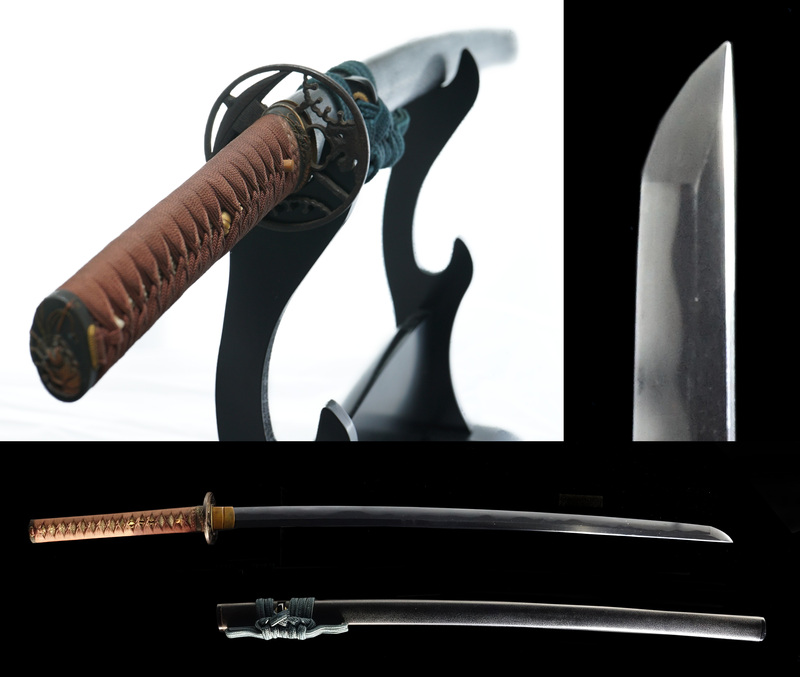 So his blade often had been inlaid with gold such as “山野勘右衛門永久”(yamano kan uemon eikyuu). 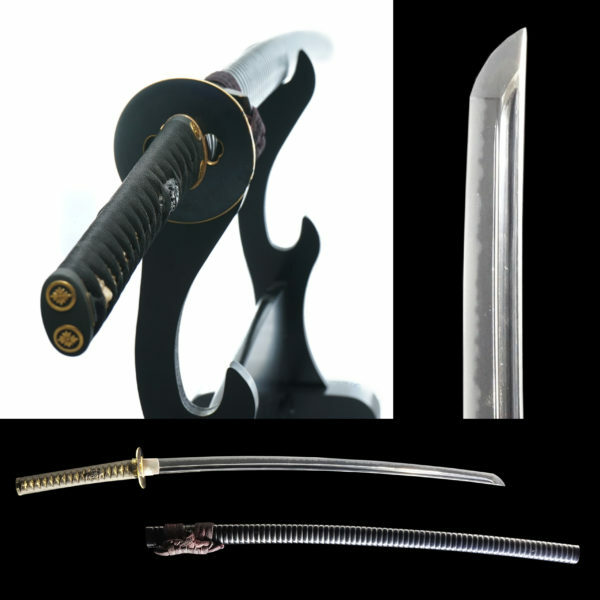 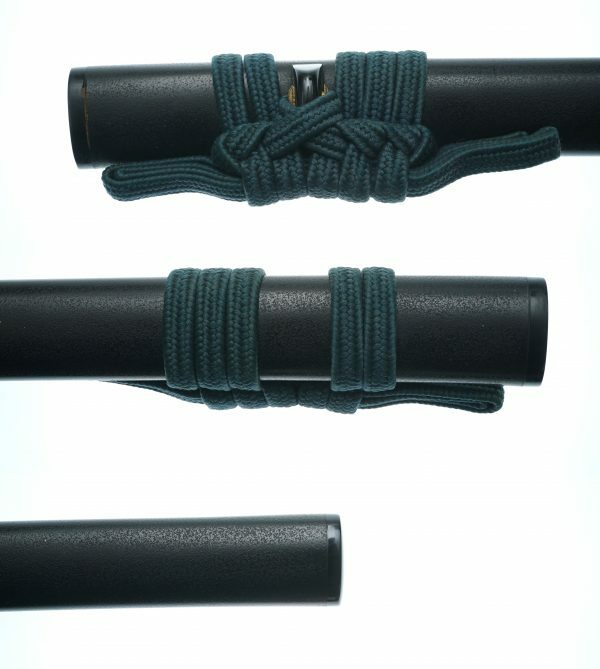 It means Professional Yamano tried out a YASUSADA blade. 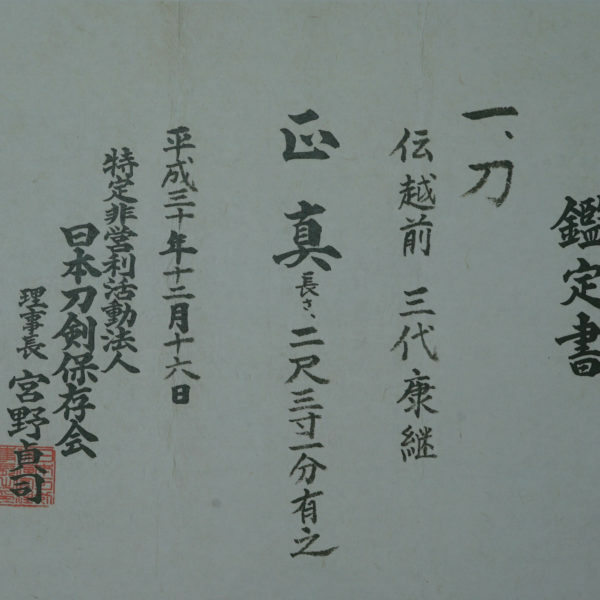 long and fruitful life. The MENUKI are also gold foil LOBSTER. 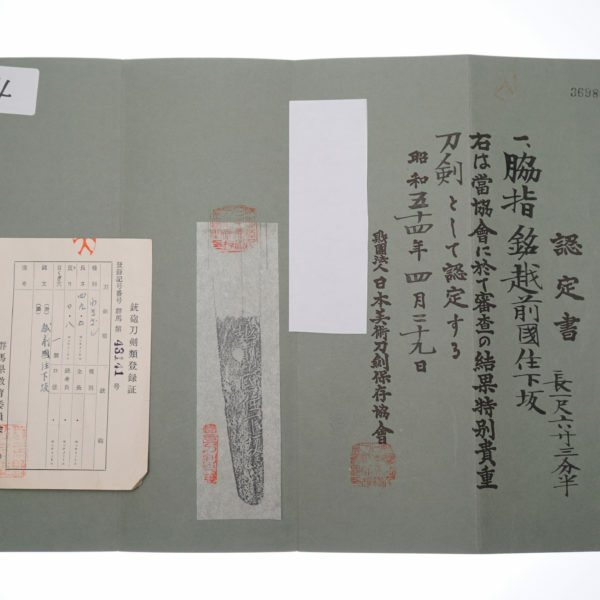 Of iron and its design is open work umbrella.